Updates on Vic Sadot music activities and releases. Unique Seasonal Gifts! VIC SADOT CRAZY PLANET BAND T-SHIRT SHOP at Café Press! 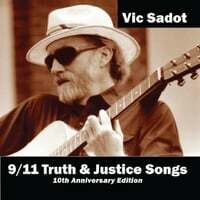 Vic Sadot CD’s at CD Baby!